Growing vegetable plants requires a certain level of commitment and effort. But it doesn’t mean it has to take over your life. 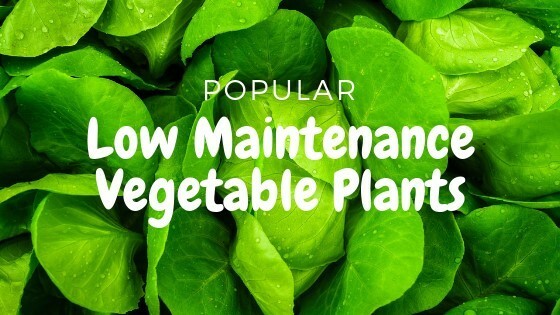 You can start with a few low maintenance vegetables. Believe it or not, there are vegetable plants that wouldn’t even require you to have a garden, as they can be planted and grown in containers. So keep your doubts at bay. You can certainly be a vegetable gardener! One of the most prolific vegetables that you can grow in your garden. 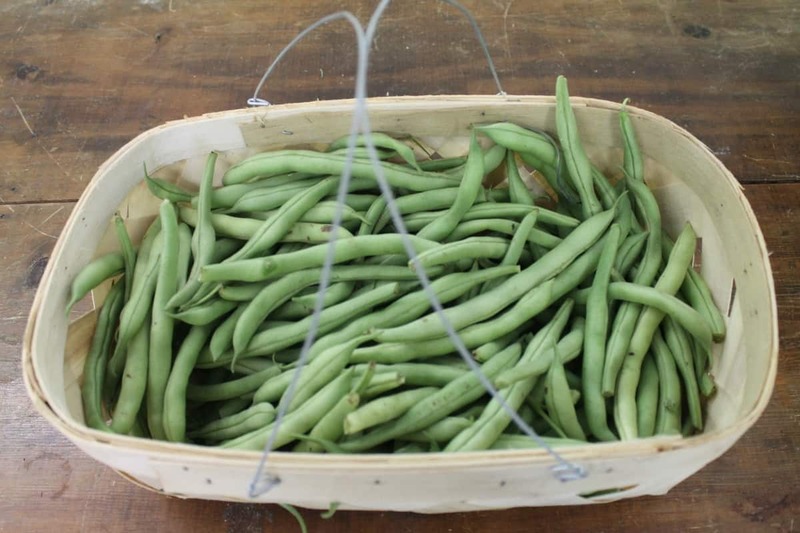 Pole beans specifically can keep growing from midsummer until winter. Don’t stress yourself too much on putting up a trellis to grow pole beans as they can grow along a fence, a railing or up on a string or twine. The only issue with planting a bean is you need to harvest them. Don’t let them stay on the plants or else it will stop setting more pods. Read our comprehensive guide of fertilizing bean plants here. Planting tomatoes is easy. 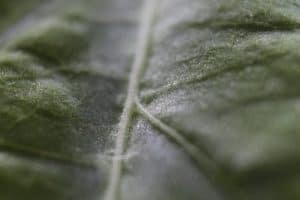 But keeping them healthy is another thing as they are prone to a miscellany of fungal diseases that set in as soon as the weather heats up and the surroundings become humid. So if you’re into planting tomatoes, it’s best to plant hybrid cherry tomatoes. In general, hybrid plants are more disease resistant than open-pollinated plants. 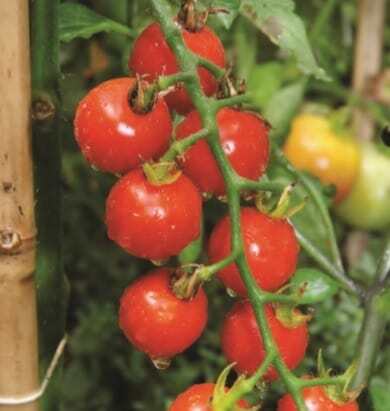 You can grow cherry tomato varieties in your garden or in containers. You can even just let them sprawl or hang. To make matters even simpler, there’s no wrong way to plant cherry tomatoes. So just do it! Plant garlic in these easy steps. Put in a garlic clove. Dig and you’re good to go! So easy right? But of course, you also need to make sure it gets enough water and food. But seriously, it may sound too good to be true but it is that easy. Animals won’t even care about it. You don’t have to bother staking or pruning it. Okay, FINE! If you really want more information on garlic care, we wrote a great resource for you right here. Salad greens like lettuce, arugula, mizuna, and spinach can be grown in your garden or in a container. And all they need is regular water. When harvesting, get just a few leaves from each plant to extend your harvest for several weeks. Some salad greens may bolt in hot weather but some varieties of lettuce, mizuna, and arugula will be just fine throughout summer, especially if they’re in containers and are receiving some shade. Cooking greens like kale, chard, collard and the like, keep chugging along well into the season. Harvest the outer leaves and they will fill right back in. And like the salad greens, just give them enough water and occasional fertilizers and they’ll give you back the freshest veggies you can ever get! Tiny hot peppers are so much easier to grow than those larger ones. You can harvest at any stage and you will always get a sizeable pepper. They can be harvested when green to screaming orange. Even if you failed to harvest them for a month or two, they will only get better. Best recommendation for hot pepper growing is to just let them be. Neglect them and they will often be more than fine. Just ensure they get enough heat and sunshine. An added bonus is that this is another type of vegetable plant that is rarely bothered by pests or diseases. They can be planted in containers, but can get heavy when loaded with fruits. So staking may be needed. Even home-grown plants may need occasional fertilizers for a better harvest. Shop for affordable fertilizers at Fertilizers for LESS now!